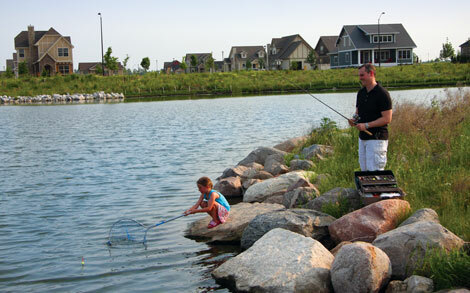 Vintage Park at Prairie Trail is on 12 acres of land and is a natural park featuring native landscaping, walking trails, a pond and fishing pier. Although Vintage Park does not have a traditional playground, it is a perfect place for a picnic or an afternoon walk. The planned green spaces are an essential element to the lifestyle at Prairie Trail and have become a draw for future residents and businesses. The original strategic planning committee worked with local leaders and industry experts to successfully integrate the green spaces with residential and business areas in a unique way that has been the impetus for other projects within the greater Ankeny community. Fitness World at Prairie Trail to Open Monday, Feb 2nd. Parks, Puppies and Plenty of fun! Prairie Trail is brewing with Fall fun!